Welcome back to the “Philling You In” blog! Wow, this is my 100th post. I’m happy and sad at the same time. It took me two years to post 100 blog entries. Over those two years, I have posted everything from Phillies free agent signings, to R-Phils game reports, to awesome promos from the R-Phils, and more! And, with that, I must say that each post I have truly put everything I had into it. 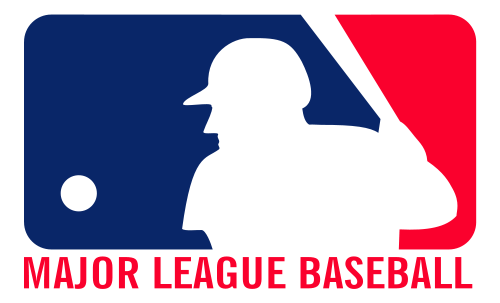 I was even awarded an MLB Pro Blog! It’s always been fun for me to write about some of the behind the scene stuff. Being a PR/Media Relations Director is an awesome feeling. Knowing what type of information to give to the fans is key. Knowing what they want to hear and knowing when to give it to them, is key as well. Anytime there was news I wanted to share, I sat down and wrote a blog. Blogging has been a lot of fun! It’s addicting! Anyways, what I wanted to say is that this will be my last blog entry under the “Philling You In” moniker. It has been a great two years bringing fans all of the latest R-Phils news! 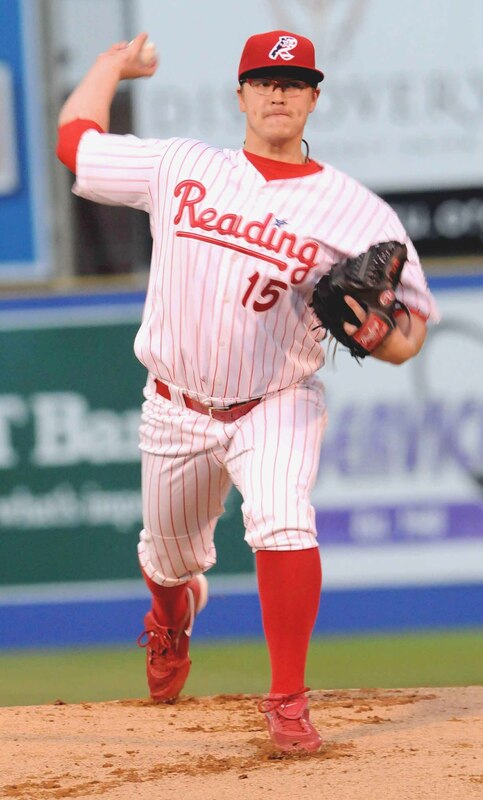 Today, (Friday, December 16) is my last day with the R-Phils. I have enjoyed my experiences here in Baseballtown, but for me, it was time to move on to a new chapter in my life. That new chapter begins in January — so stay tuned for some exciting news! I am very eager to take the next step in my career! I have spent the past four years of my life in the Phillies organization. I began my baseball career as an intern in Lehigh Valley with the IronPigs in 2008. My two years in Lehigh Valley were great. Thanks to Matt Provence and Jon Schaeffer — two of the greatest people to work for in this business — I was able to succeed in a field that I have always wanted to be a part of. Also, a special thanks to Andy Kauffman, who was a great help during my days in Baseballtown! Ever since I was a kid, all I ever really cared about was baseball. At a young age, I was playing baseball with my friends in Brooklyn, NY. Little League was so much fun! I tried to be the next Gary Carter. I wore number 8, crouched behind the plate, and I think I may have even tried to curl my hair like his. There was only one Gary Carter, though. Long live “The Kid”! Baseball was always a way to express myself. Throughout the years, I had the opportunity to play Senior League baseball, Babe Ruth baseball, Legion baseball, and even College baseball at Penn State Hazleton. My two years at Hazleton were a lot of fun. After that, though, right about the time I realized that baseball as a player was not an option for me anymore, it was time to move on to other opportunities. I always had this love for Minor League Baseball. Living in the Poconos, my dad and I attended a good amount of Scranton/Wilkes-Barre Red Barons games over the years. Those games were a blast! I loved going to the games with my dad. It wasn’t as fun as going to Shea Stadium, but it was fun! I always rooted against the Barons too, haha. What I really loved, however, was the chance to see players before they were superstars. I loved seeing the determination that they had to make it to the Bigs. I remember seeing Derek Jeter up-close with the Columbus Clippers. I’ll never forget going to the 1995 All-Star Game at Lackawanna County Stadium and seeing so many future stars. A funny story is that Jason Isringhausen, who was warming up in right field before the start of the game, threw a pitch that sailed over the catcher’s head and into the hands of my dad. My dad made a nice catch! When he was asked to give the ball back, he turned and said, “Only if Isringhausen signs it for my kid” — that’s me! Well, he did, haha. My dad has played a big part in my life as a baseball fan. He played baseball as a kid in Brooklyn. He even played Little League with Lee Mazzilli! I have the picture to prove it! And, years later, I met Lee Mazzilli and had him autograph it! Both my dad and I grew up in a baseball household. My grandfather (his dad) was a big fan of the game. I was told he used to hit baseballs so far in Brooklyn, that they would get lost! And, he never missed a Mets game. He watched them when they were good, when they were bad, and when they were just awful! The Viola family grew up Brooklyn Dodgers fans, but when the Dodgers moved to LA, there was no more baseball – that is until 1962. Sad to say, we’ve been Mets fans ever since, haha. Anyways, the reason I wanted to share these stories today is because I want you to know that baseball is my life. It has always been my dream to be around the game – and be around it for a long time. It never gets old. I love every minute of it. The excitement of a game-winning hit, the excitement of a play at-the-plate, etc. Baseball may not be for everybody – but it is certainly for me. Thanks to all of the people that I have met over the past four years. It has been an incredible journey. I could not have done it without you. Frank Gailey is a Philadelphia native. He attended Archbishop John Carroll High School, and then went on to star at West Chester University. Gailey, a two-time Pitcher of the Year winner, is now coming home. On Monday, the Phillies traded OF Ben Francisco to the Toronto Blue Jays for Gailey, a LHP, who split the 2011 season between Dunedin (A) and New Hampshire (AA). Gailey posted a 5-6 mark with a 3.41 ERA in 45 appearances last season. Promoted to Double-A New Hampshire in May of last season, Gailey went 1-4 with a 5.70 ERA in 19 games for the ‘Cats. He appeared in one game against the R-Phils last season, and allowed a run on two hits over one inning on July 28 in Manchester, NH. The Philadelphia native posted his first career Double-A win on August 17 in Altoona. 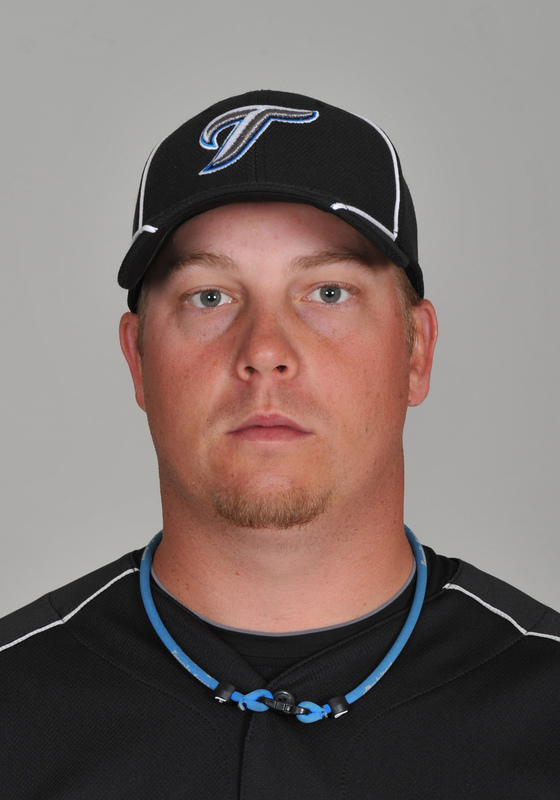 The 5’9″ left-hander began the 2011 season with Single-A Dunedin, and excelled on the hill. He compiled an impressive 4-2 mark with a 1.84 ERA and two saves in 26 games. For his career, Gailey is 23-15 with a solid 2.45 ERA in 175 appearances. He was originally selected by the Blue Jays in the 23rd round of the 2007 First-Year Player Draft. Gailey, 26, pitched for West Chester from 2004-2007, and helped the Golden Rams earn their first bid to the Division II national semifinals in 2006. He was 24-9 in 59 appearances for West Chester and holds the school record in strikeouts with 242. It will be interesting to see where Gailey starts the 2012 season. Wherever it is, I’m sure he’ll be able to have family and friends cheer him on. The trade of Francisco opens up a spot on the Phillies 40-man roster (they are currently now at 39). Welcome back to the “Philling You In” blog. Earlier this week, I updated the R-Phils All-Time Roster. 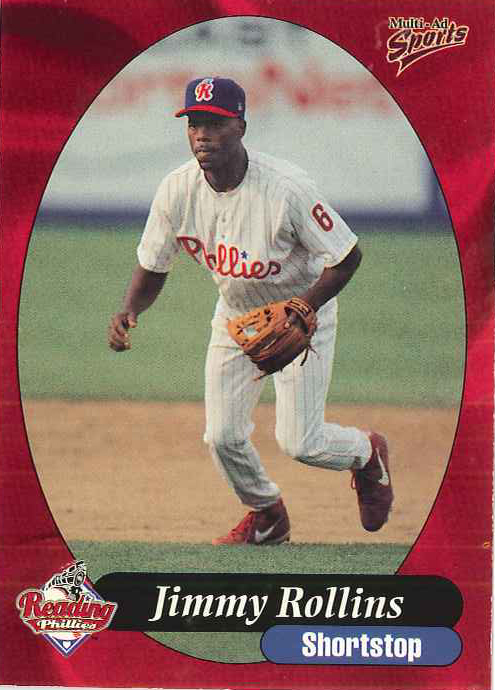 If you would like to check out the new R-Phils All-Time Roster page, you can view it here. Enjoy! It’s always fun to take a look back at some of the players that called Baseballtown home over the years. As I was updating the document, I was also looking through old photos, trying to find the right ones to add to this year’s edition. I kept a few of the photos from last year’s edition, but added a ton more. That’s one cool thing about the press box here, we have tons of photos! We also have tons of baseball cards too! What’s your favorite baseball card? I remember collecting cards as a kid, and I loved it. I don’t think I ever out-grew baseball card collecting. I think it just got too out of hand with all of the different brands. Oh, and how about the fact that a pack of cards only has four cards now? Oh, and no gum, haha. Well, actually, that’s a good thing. That gum was horrible! Gum shouldn’t be crunchy. So, it is the offseason, and one of the big topics around this time of year is the promo schedule. Each year, the R-Phils staff compiles some of the best promotions in all of Minor League Baseball. Every Wednesday, at 8:00 AM, we discuss the promo schedule, and try to make it as awesome as possible. While I won’t give it away just yet, I must say — stay tuned, you are going to love it! We have some great ideas for the 2012 season. One of the other topics this week was the National League Rookie of the Year award. Craig Kimbrel of the Atlanta Braves took home the honor after an impressvie season as the Braves’ closer. Kimbrel, 23, receieved all 32 first-place votes — winning the award unanimously. He set a Major League record for saves with 46 and had a 2.10 ERA. The Braves also had Freddie Freeman earn votes. Freeman came in second place in the voting, behind his teammate. Finishing third in the voting was former R-Phils starter Vance Worley — who enjoyed a solid season with the Phillies in 2011. Worley, 24, posted an 11-3 mark with a 3.01 ERA over 25 games (21 starts). Worley spent 2009 and 2010 in Baseballtown, and combined to go 16-16 with a 4.43 ERA over 46 games (all starts). He was an Eastern League All-Star in both seasons. His best season of the two, came in 2010, when he went 9-4 with a 3.20 ERA, before earning a promotion to the Majors. While he didn’t win the award, Worley was definitely worthy of it. The young right-hander has a bright future ahead. Good luck Vanimal — we loved having you here in Reading. Welcome back to the “Philling You In” blog on this Monday morning! On Sunday, the R-Phils hosted their 13th Annual Toys for Tots event at FirstEnergy Stadium, and the event was a huge success. Hundreds of Harley-riding fans flocked to America’s Classic Ballpark on Sunday for a great cause. After beginning at Classic Harley-Davidson, fans made their way to the stadium for a great event to benefit the U.S. Marine Corps Reserves Toys for Tots Program and the Children’s Home of Reading. The weather was beautiful, the hot chocolate was hot, the hot dogs were delicious, the band was awesome, Santa was jolly, the Mitchell & Ness R-Phils Team Store was cozy, and the toys were aplenty — and it was all for a great cause. It was nice to be a part of such a great event. It was the first time I was here for a Toys for Tots event, and I am glad I was able to be a part of it. “Toys for Tots event kicks off“. “Hundreds bear gifts to Toys for Tots event“. 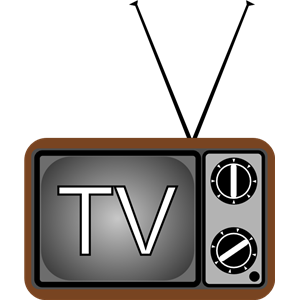 Also, stay tuned for a great story from Service Electric, which will be airing this week. Big thanks to Chris Kulp and Courtney Molinaro for coming out for this event. The holiday season is right around the corner. Stop by FirstEnergy Stadium this week, and throughout the offseason to do your holiday shopping. Each week, we are donating 10% of our merchandise sales (both online and in-store) to a different organization, as part of our “Season of Giving”. If you would like to help, swing by the Mitchell & Ness R-Phils Team Store today to donate to this week’s recipient — Toys for Tots. After that, there will be a new charitable organization (14 in all). Also, I just want to say good job to R-Phils merchandising manager Jason Yonkovitch and R-Phils community relations director Matt Hoffmaster for all of their hard-work. Jason (aka Yocko as he is known around the office), even made an appearance on TV! Good job fellas! We’ll see you at America’s Classic Ballpark this offseason! Welcome back to the Philling You In blog. It’s been a busy week, so I will try to answer the question “What’s Happening”? 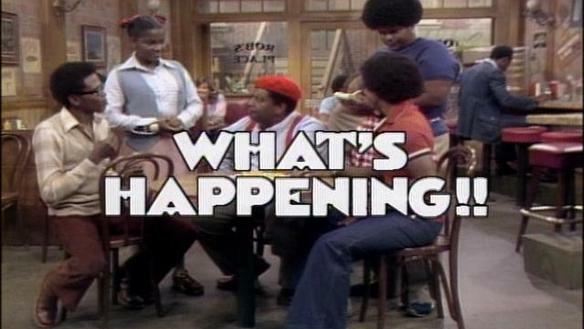 First, although I put a photo up of the great TV show “What’s Happening”, we won’t be talking about that today. You can write me about it, if you want. It was one of my favorite shows back in the day. Remember Shirley? The big news that hit today was from Baseball America, who named their Top 10 prospects in the Philadelphia Phillies organization. There is a new #1 prospect in the Phillies organization. 1.) Trevor May – May solidified himself as the top pitching prospect in the organization after a solid 2011 season with Clearwater. The Kelso, WA native posted a 10-8 mark with a 3.63 ERA in 27 starts. May, 22, also became the first Phillies Minor League pitcher to fan over 200 batters in a season. He ended the season with 208 strikeouts in 151.1 innings pitched. On June 22, May struck-out a season-high 14 batters over seven scoreless innings. He had nine or more strikeouts in a game 10 times, and led the FSL in strikeouts over teammate Julio Rodriguez, who had 40 less on the season (208 to 168). May was also the league leader in shutouts (2), and was among the league leaders in complete games (finished in a tie for second), games started (finished in a tie for second), and innings pitched (finished third). May, a 6’5″, 215-pound right-hander, enjoyed a breakout season in 2011. He was the Florida State League’s Pitcher of the Week twice, he was Phillies Minor League Pitcher of the Month for June, and he was named as the best pitcher in the Phillies system in Septemeber, as he received the Paul Owens Award in September. What a World Series! Amazing! Unbelievable! Unforgettable! Okay, you get the point. It was one of the best ever — and I did not miss a second of it. I was glued to the television for each game — and I was not disappointed. The 2011 World Series will certainly go down as one of the best ever. And, Game 6 will definitely be considered one of the best World Series games ever played. I’m still thinking about it. What a way to end it! There may be a statue of David Freese in St. Louis soon – keep your eyes open for that. Isn’t it funny how things work out sometimes? Many fans (except maybe in St. Louis) thought the Cardinals’ season would be over in September. Down 10 1/2 games with not much left in the season, the Cardinals began one of the most remarkable runs in baseball. It was a combined effort, as many of the players stepped-up at the right time. Led of course by the best player in baseball (Albert Pujols), the Cardinals proved a lot of people wrong. And, the great efforts by the Cardinals made for a great World Series. Think about what we saw this year in the World Series. We saw game-winning heroics — numerous times. We saw mis-managing, and over-managing — numerous times. We saw Pujols solidify himself as one of the best players of all-time. Don’t forget he hit three home runs in a game! We saw just how good Chris Carpenter is, and we saw just how important it is to have a full team contribute. From Pujols, to Lance Berkman, to Allen Craig, to Kyle Lohse, the Cardinals proved that they had the right team in place, and in turn, took home their 11th World Championship. The Cardinals are the Yankees of the National League. Their history is un-matched by many. 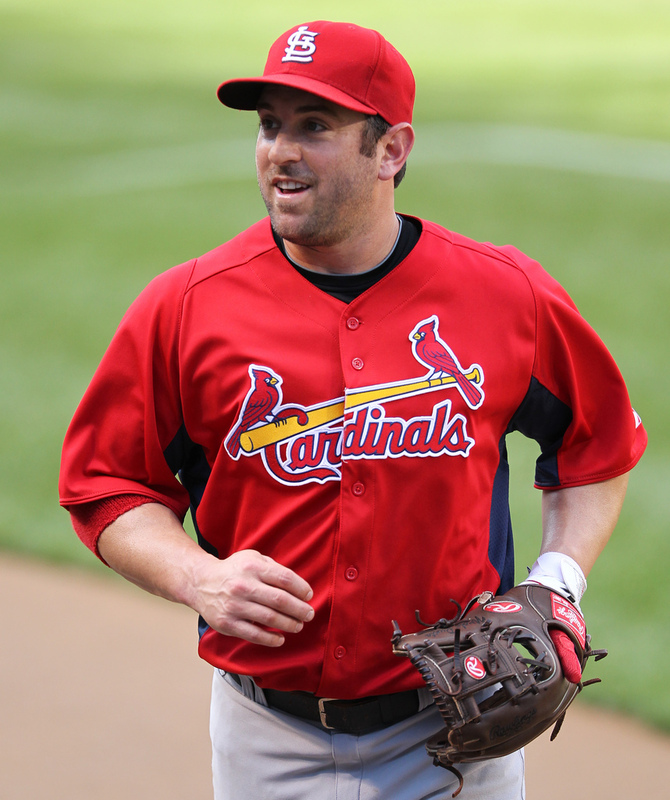 So, congratulations to the St. Louis Cardinals and to former R-Phils infielder Nick Punto! It is going to be a crazy offseason for the Cards. They will have a big decision to make with Pujols — who is a free agent. The best player in baseball is going to want to get a big payday. What will the Cards do? Only time will tell. Welcome back to the “Philling You In” blog. I just found out the news, and boy am I upset. Due to inclement weather (expected) in St. Louis, there is no World Series game tonight — nooooooo! I don’t know about you, but I was really looking forward to watching a game tonight. 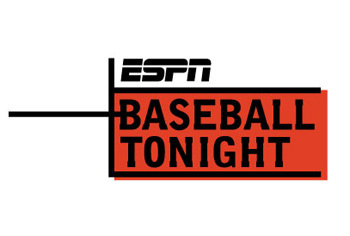 Now I’ll have to wait until Thursday, which means two-straight nights without a baseball game — ugh! I guess I should get used to that though, right? The offseason is near. Here is the official word from MLB. So now, tonight’s Game 6 is officially postponed, and will be played on Thursday night at 8:05 p.m. Game 7, if necessary, will be played on Friday at 8:05 p.m.
What do I watch tonight now? 8PM: Survivor: South Pacific (CBS) — How is that show still on television? Is there anyone who actually still watches it? Nope, I’ll pass. 8PM: Family Guy (TBS) — I’m a huge Family Guy fan — I have probably seen every episode at least 10 times. As much as I would turn that on tonight, I’ll pass. 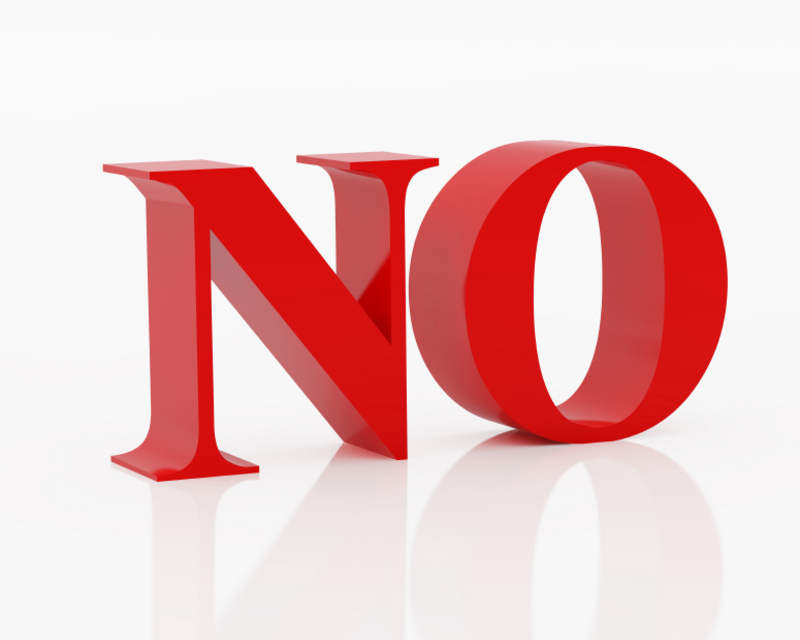 9PM: Modern Family (ABC) — This is by far the best sitcom on tv but guess what? It’s a repeat. 9PM: Criminal Minds (CBS) — I love Criminal Minds — great show, but of course tonight it’s a repeat. I don’t need to watch a repeat of that, so I’ll pass. 10PM: CSI: Crime Scene Investigation (CBS) — Another repeat, come on now. Why are these shows not new? Okay, well here is what I have decided on — Netflix. There has got to be a good movie on there I can watch tonight. Once again television has let me down. Welcome back for another edition of the “Philling You In” blog. I watched a lot of sports this weekend, and enjoyed almost all of them. Over the weekend, fans had the chance to see the Penn State Nittany Lions improve to 7-1 with a 34-24 win at Northwestern. It’s been an impressive year for Joe Pa and crew. The real test, however, will begin this weekend, and continue throughout the rest of the season. Coming up, they face Illinois (23), Nebraska (13), and then go to Ohio State and Wisconsin (4) to end the season. Fans also had a chance to see just how bad the Indianapolis Colts are without Peyton Manning — they lost 62-7 to the Saints — wow! And, fans got a glimpse at just how bad the Raiders were with the newly-acquired Carson Palmer (28-0 loss to the Chiefs). Palmer and starter Kyle Boller threw three interceptions each! For those keeping track, that’s six interceptions. Thanks to that awful Colts-Saints game, more people watched the World Series on Sunday night — wooohoo! And, hopefully the same people that tuned into Game 4 will be back for Game 5 tonight. With another bad football game set for tonight, fans would be smart to tune in to Game 5. Watch a game that matters! Albert Pujols launched three home runs in Game 3 on Saturday. Don’t you want to watch the best player in baseball on the big stage each night? You have at least two more chances to see him as a Cardinal. By the way, if you like offense, St. Louis won that Game 3 slugfest by a score of 16-7. With that, the Cardinals took a two games to one lead over the Rangers. Don’t forget to tune in to see former R-Phils infielder Nick Punto. If you like pitching, than Game 4 was for you. Enter Derek Holland, who may have the greatest mustache ever! Holland, 25, posted a 16-5 mark with a 3.95 ERA in 2011 for the Rangers. The Ohio native finished first in the America League in shutouts (four), fourth in the AL in complete games (four), and fourth in the AL in wins (16). It was a breakout year for the young lefty, his Game 4 performance was one for the ages. On Sunday, Holland was marvelous. The young lefty dominated Cardinals hitters each inning, and pitched into the ninth. In the ninth, Holland allowed a one-out walk, and then fought for his chance to remain in the game. Manager Ron Washington strolled to the mound and talked it over with Holland. The 25-year-old urged his manager to let him stay in — it didn’t work. He was pulled for closer Neftali Feliz, who eventually would shut the door on Game 4 — giving the Rangers a 4-0 win. The performance by Holland was awesome. Baseball fans all over the world have to be impressed with it. And, he made a case to stay in — gotta love that! 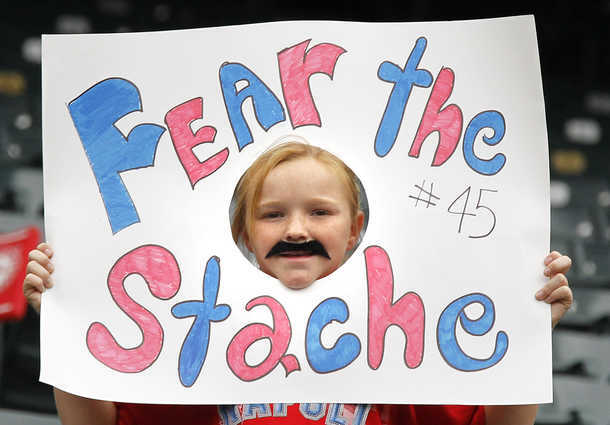 Perhaps that was the spark the Rangers will need to win it all. But, wait, don’t count them as champions just yet. They will have to face Chris Carpenter tonight in Game 5. It will be a rematch of Game 1, as Carpenter will face C.J. Wilson tonight. It’s going to be a good one, I am sure of that. Continue watching baseball. With the series tied 2-2, things will get even more exciting. And remember, you can always watch football next week! I was all set to talk about last night’s great game, which saw the Rangers beat the Cardinals 2-1, but first, I’m a little angry. Where are all of the baseball fans? Game 2 was another great game, but sadly, nobody watched it. The ratings for Game 1 were down from a year ago, and the ratings from Game 2 were down from Game 1 — ugh! Why aren’t people watching the World Series? Where are all the baseball fans hiding? The ratings probably won’t get any better either, due to Sunday Night Football and Monday Night Football during Game 4 and Game 5, respectively. And, the sad thing is, it’s not like this week’s Sunday and Monday night football games are even worth watching. On Sunday Night Football this week, NBC will show the New Orleans Saints (4-2) hosting the Indianapolis Colts (0-6). That’s a horrible matchup, but it will get more ratings than the World Series — guaranteed! 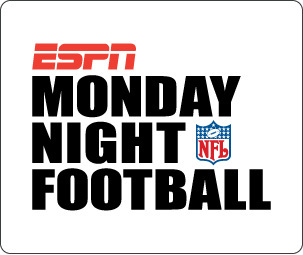 On Monday Night Football this week, ESPN will show the Jacksonville Jaguars (1-5) hosting the Baltimore Ravens (4-1). Another bad game from the NFL — but it will have bigger ratings — guaranteed! I say shame on you baseball fans! Watch the World Series! There are so many great storylines, and so many great players in this year’s Fall Classic. Albert Pujols, who is set to be a free agent this offseason, is trying to win one more ring with the Cardinals. Tony La Russa, who drives me crazy by the way, is looking for his 3rd World Series win. The Rangers, back for a second-straight season, are looking for their first-ever World Series win in franchise history. And, how about the story of Josh Hamilton, who went through so much to get back to the baseball diamond? I can go on and on. And, if you are someone that needs all of that, than great. As for me, all I need are two teams facing off in a winner-take-all series. You know why? The answer is simple: because I am a BASEBALL FAN! Yes, that’s right, I live for baseball. I work in baseball, I watch baseball, I eat, sleep, and breathe baseball. Tune in and find out for yourself why the World Series is worth watching. There is something for everyone — I promise! Welcome back to the “Philling You In” blog! I am back in the office and ready to blog about Game 1 of the World Series. First, let me say how excited I am to be able to talk about the World Series. I love baseball. I love writing about baseball. And, even though it’s between two teams I was not expecting to see in the Fall Classic, I believe we are in for a great World Series. Take the Cardinals for example. They are a great story. They got hot at the right time, and have used that momentum to put up a fight in the postseason. And, so far, so good. Watching that game yesterday had me thinking. Is St. Louis the best baseball city in America? Think about it. They love baseball in St. Louis — much more than football (Rams), and hockey (Blues). And, think about this, all of the other cities that missed out on their baseball team getting to the World Series, are curently entrenched in football. In Boston, fans are in mourning, but they do have the Patriots. In New York, fans are into the Giants and Jets. In Philadelphia, fans are caught up with the Dream Team, I mean the Eagles. Plus, they have the Flyers too! In Chicago, it’s Bears season. Da Bears! Should I go on? St. Louis has a tradition of great baseball over the years. They have won 10 World Series championships — the most of any National League team, and second overall to the New York Yankees (27). Think about some of the greats who have donned a Cardinals jersey over the years. Bob Gibson, Stan “the Man” Musial, Enos Slaughter, Rogers Hornsby, Dizzy Dean, Lou Brock. Bruce Sutter, Red Schoendienst, Ken Boyer, Whitey Herzog, and of course the “Wizard of Oz” Ozzie Smith. Don’t forget Hall-of-Famers Steve Carlton, Johnny Mize, Joe “Ducky” Medwick, Orlando Cepeda, and others, who played for the Cardinals in their careers. Also, don’t forget about legendary broadcaster Jack Buck — “I don’t believe, what I just saw”. Now, onto the game from last night. The Cardinals, who have the best pitcher in the Series — Chris Carpenter, beat the Texas Rangers in game one by a score of 3-2. Carpenter was solid — making just one mistake, a two-run home run to Mike Napoli. It was Napoli’s second home run against Carpenter in his career. The Cardinals offense came through in the right spots, and perhaps it was the play of former R-Phils infielder, Nick Punto, who was the “Unsung Hero” of Game 1. With the game tied 2-2 in the bottom of the sixth inning, Punto came to the plate against Rangers’ ace C.J. Wilson. Wilson had already gotten two outs in the inning, but had allowed David Freese to get to third after a double and wild pitch. Punto, who spent the 2000 season in Baseballtown, took all four pitches he saw from Wilson, and drew an important walk. Now, things would get interesting. Wilson was pulled for Alexi Ogando, and Carpenter, who was set to bat, was pulled for pinch-hitter Allen Craig. Craig lined Ogando’s pitch into right field just under the glove of Nelson Cruz, and Freese crossed the plate with what proved to be the game-winning run. Punto went 1-2 with two walks, and helped lead the Cardinals to a 3-2 victory in Game 1. I think we are in for a great series. I thought the Cardinals would take the first one, and I think they’ll take another one, but I still think it’s the Rangers in six. But, anything is possible!